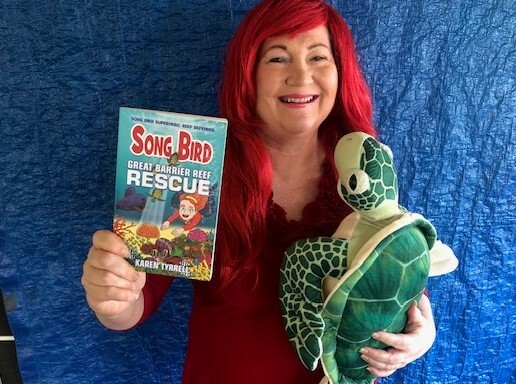 I’m a passionate eco superhero children’s author currently touring Queensland. 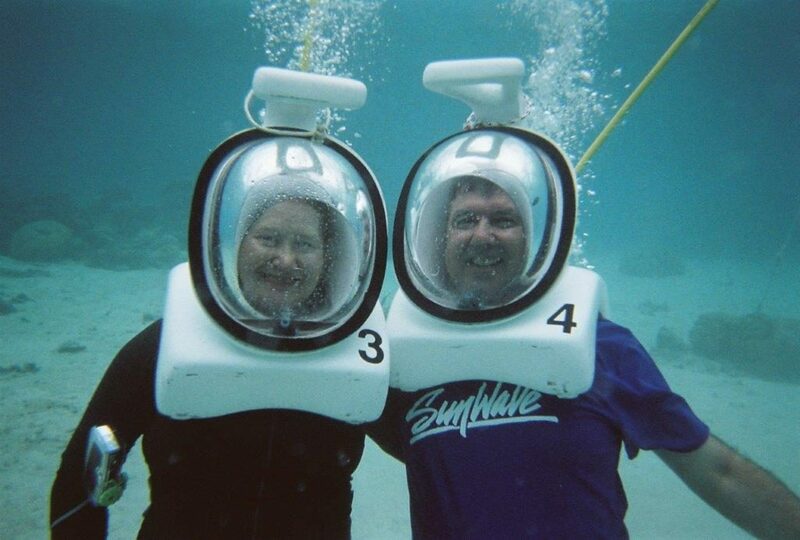 Join me (Karen Tyrrell) and Steve Tyrrell authors of Great Barrier Reef Rescue as we present an educational multi-media experience for how to care for the reef and endangered marine creatures. 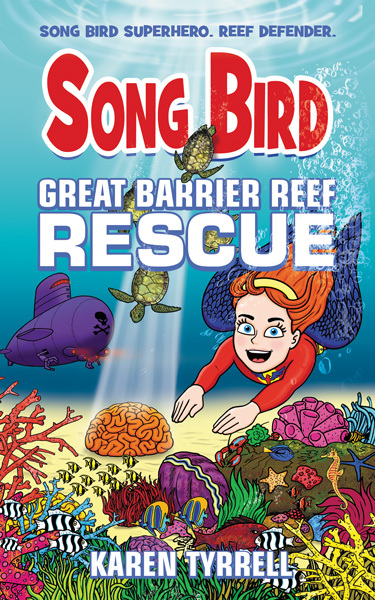 I created Great Barrier Reef Rescue to empower children to live sustainable lives, help protect the reef from pollution and help endangered marine creatures. What’s my qualifications for Great Barrier Reef Rescue School Visits? I’m an award-winning author and advocate of bully prevention, empowerment and resilience. I taught Gifted & Talented classes as a school teacher. I majored in biology at teacher’s college and was the science co-ordinator at my school. My family and I love visiting the Great Barrier Reef, swimming in the company of giant green turtles, white tip reef sharks and Maori Wrasse. I’m passionate about protecting the reef and endangered marine creatures. We present a multi-media power point talk for how to care for the reef including our riveting book trailer. Children engage in role play and Q&A interactivity. Eco Interplay – Hands-on activities. How can we reduce plastic and pollution from the reef and water-ways? How can we live more sustainable lives? How are we care for endangered marine creatures? Children’s activities – science-based activities plus origami paper folding fish with instructions. 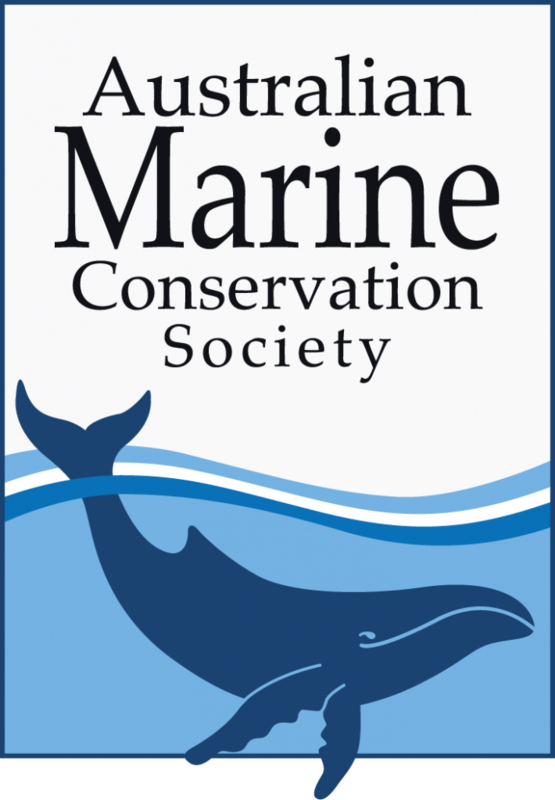 Australian Marine Conservation Society provide free resources for school visits. Write an adventure story, conservation story OR a superhero story. Karen & Steve present guided writing workshops including power point, props, costumes, role play including a story starter sheet. Step by step, I guide children how to plan, write, edit and share their story. 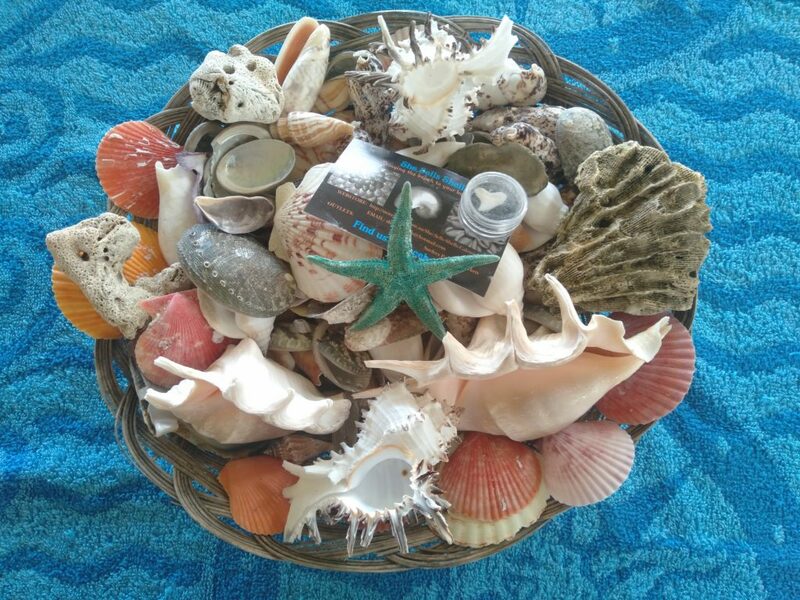 Children touch, feel, and smell marine artefact including coral, starfish, shark’s tooth, sea sponges, beach pebbles and a variety of gorgeous shells. 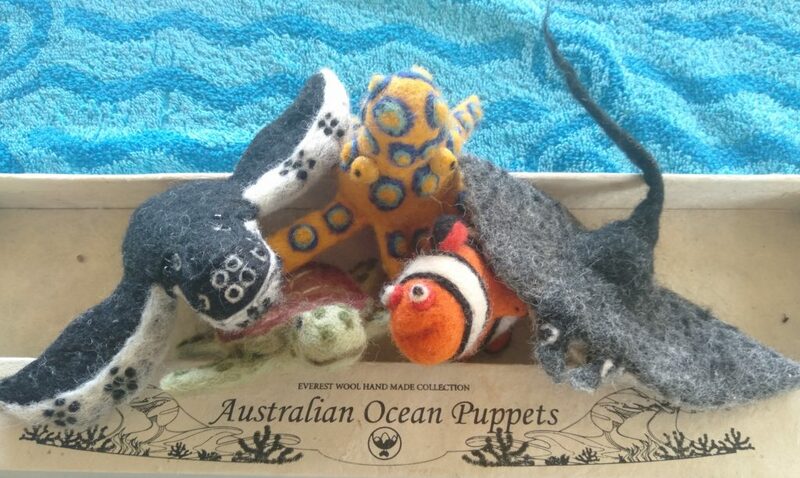 Ocean Fingers Puppets: Meet friendly octopus, whale, clown fish, turtle and sting ray finger puppets as we sing along with songs from the sea. Reef Man AKA Steve Tyrrell will play the dolphin ocarina as we sing. Focus on your strengths, talents and expertise on school visits. Consider reader’s theatre, costumes, props and educational activities that engage children. Make your school visits fun, imaginative and interactive. Develop hands-on and interactive activities for children. Create an engaging script for your presentation … and practice, practice, practice! When is Great Barrier Reef Rescue available? 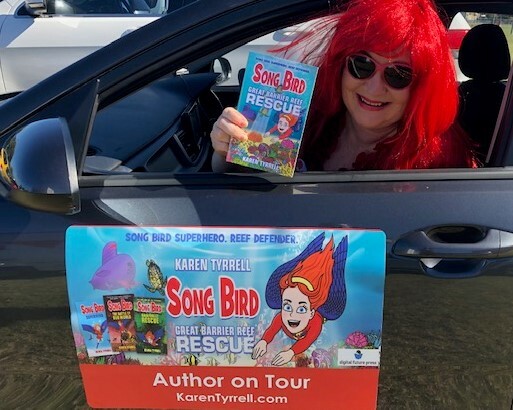 It’s available now for pre-order, including signed copy, personal numbered certificate PLUS a Great Barrier Reef goodie bag at songbirdsuperhero.com … and at Amazon. How do you book Great Barrier Reef Rescue School Visits? I tailor interactive program for your school to suit any age-group, size, especially for the needs of the children. I’m taking bookings now for my Queensland Tour. In May, June, July and August, I visit schools in Brisbane, Logan, Ipswich, Gold Coast, and the Sunshine Coast. Any questions on Great Barrier Reef Rescue School Visits? What a wonderful topic you’ve chosen to write and present on. Eco sustainability is vital for the world, and the Great Barrier Reef is particularly vulnerable. Pollution, global warming, fishing and recreational over use, all elements affecting such a fragile eco system. Your book is addressing something very important for school children and the school visits look very appealing. I shall be talking to my Principal next week to recommend we book you. Well done dear caring eco advocate. I really appreciate you taking the time to comment here and share with your school and principal. Look forward to hearing from them.